What if you had chosen differently? ROYAL OAK, Mich. (WXYZ) — At the heart of every choice we've ever made lies this question, "What if?" What if we had chosen differently? How would our lives be changed? "If/Then" follows Elizabeth, a newly divorced urban planner who moves back to New York for a fresh start. Then her life suddenly splits in two. Tickets are $23 on Thursdays and $27 on Fridays, Saturdays and Sundays. Discount tickets available for Veterans and youth 17 & under for Sunday and Thursday performances. Lead actress Lynette Yeager plays Elizabeth, who lives out two separate life scenarios, one as "Liz," the other as "Beth." Yeager says audience members may recognize themselves in Liz or Beth. Some people "will identify with the path that Liz takes as a strong woman and mother who has suffered incredible loss and has learned to live without," says Yeager, She says others "may identify with Beth's determination to achieve her goals," as she makes choices that are more career-oriented. "Either way," adds Yeager, "Elizabeth's life is intense, complicated, and imperfect--yet thrilling. It's in the detour that Elizabeth truly finds her way." The show was originally written for powerhouse Broadway performer Idina Menzel (of Wicked and Frozen fame). The musical features soaring melodies, romance, funny moments and a storyline that will appeal to everyone. "What makes this plot interesting is how it is so relatable to everyday people," says Yeager. "It is a very human story that makes us reflect on our own lives, and the very idea that you have the opportunity to start your life over every single day with the choices that you make." 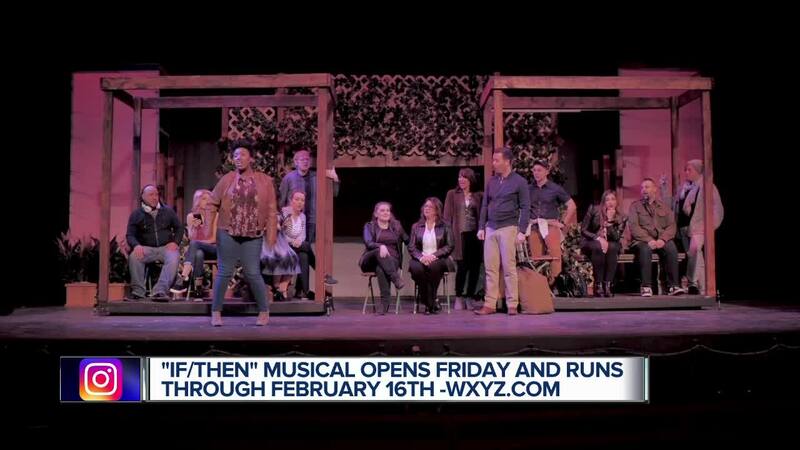 Tickets for If/Then are now on sale at Stagecrafters.org, or by calling the ticket office at 248-541-6430, Monday through Friday, 10:00AM to 2:00PM.